I always have an interest in handbags as long as I can remember. However, I didn't get into the world of luxury handbags until 2011. 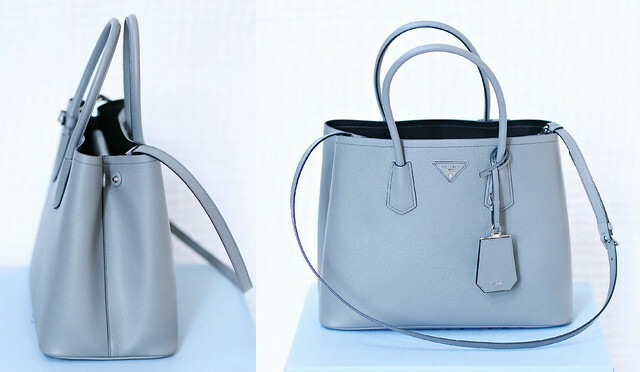 For the past 4 years, I've gained a bit of knowledge when it comes to buying preloved handbags. Today, I wanted to share some of my tips and tricks just in case you're looking into treating yourself to a new designer handbag. A little disclaimer that I am not an expert by any means. These are just a few things I've learned throughout the years while doing my own research. Tip # 1: Know your sources - If you don't know where to start, I strongly suggest you buy from a solid reputation reseller. A few that I can recommend are Fashionphile, Ann's Fabulous Finds and Yoogi's Closet. I have personally purchased my bags from Fashionphile and Ann's Fabulous Find. I haven't bought anything from Yoogi's Closet but have consigned with them. I had great experiences and don't have any concerns when it comes to buying luxury goods from these sources. Tip # 2: Do your research - It's a myth that pre-owned handbags are way cheaper than new handbags. Sometimes used bags cost more than retail. It all depends on how popular (or rare) the bag is. For example, I paid $5200 + tax for my Chanel boy bag. The same bag runs for $6500 here because of the leather type (it's extremely hard to find a boy bag in caviar leather). For classic flaps and boy bags, prices are pretty close if not the same as retail prices. It's up to you to decide if it's worth buying a pre-owned handbag or you'd rather get a brand-new bag from a Chanel boutique? Tip # 3: Know what to look for - If you're comfortable shopping on eBay, there are great deals to be had. However, you absolutely have to know what you're doing. 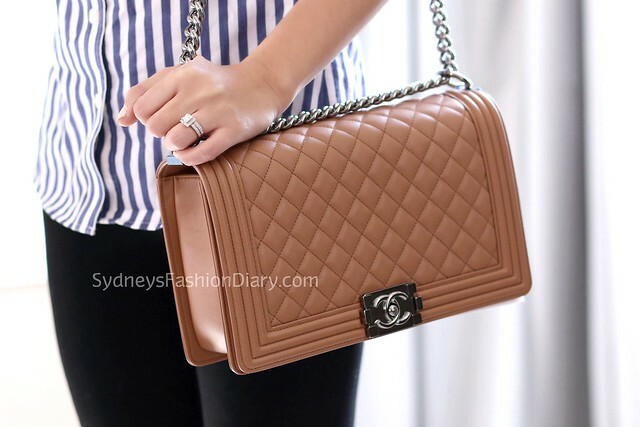 When it comes to shopping for luxury handbags on eBay, here are some of my suggestions. If the seller has less than 100 feedback, I'd stay away. I don't even look at the listing if the seller a low number of positive feedback. If they have a good amount of feedback, I then will look at their sale history as well as their current listings. Do they only sell luxury goods (which I prefer)? Were those positive feedback applied to luxury goods? Ask question (a lot of questions!). Ask for more detailed photos from different angles. The next step is to get your bags authenticated (more below). After you get a green light from your authentication service, the last step is negotiating their asking price. I always do that (don't judge!). The worst that could happen is them saying no, right? Tip # 4: Always always always get your bag authenticated - It's a must (even if you buy from a high reputation reseller). For small leather goods, I just use a free service provided by the wonderful ladies at the Purse Forum. For big ticket items, I use third party authenticators. I highly recommend Etinceler Authenticators and Carol Diva. I used both in the past and they were very pleasant to work with. Please keep in mind that they do not authenticate 15 million series (2011) or newer Chanel classic flaps or boy bags due to many super fakes on the market. Tip # 5: Take the time to find exactly what you want - I am guilty of this. If I want something, I want it NOW. Take your time and eventually, you'll find exactly what you're looking for. Never rush and do not settle for anything less than what you want. At the end of the day, no matter how you slice it, it's still a lot of $$ to spend on a handbag. There have been several occasions where I wanted to buy pre-owned luxury handbags but was skeptical of the website! This post was very helpful! You have a great bag collection! Thanks for sharing your tips. Wow, beautiful handbags, I love these styles, stylish!!! Wow! superb bags, I like it, Thanks for sharing.